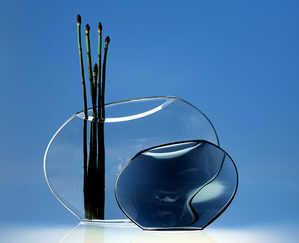 Contemporary art, innovative glass design. Designer, glass artist Markku Salo works and lives in Nuutajärvi Glass Village, Finland, on the site 220-year old community for artists, designers and crafts people. 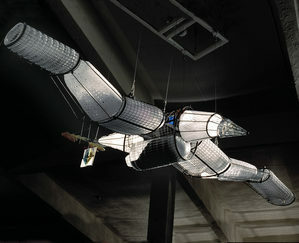 Salo´s relationship with glass started in 1983. His uncompromising artistic vision and exploratory nature are filtered through a thorough understanding of the material. 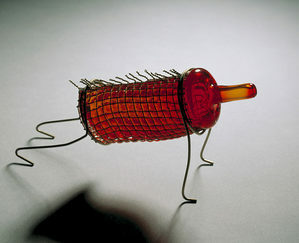 His large ouvre of unique pieces ranges from playful pâte de verre –objects to pieces which marry glass and mesh in unexpected ways, to collectors items like bottles or Dog-collection. Since the beginning of his career Salo has also worked with industrial production, creating collections to leading Scandinavian houses like Iittala, Nuutajärvi, Wärtsilä and Aarikka, for example. Salo has so far had approximately 40 solo exhibitions, and exhibits his work on various international forums. 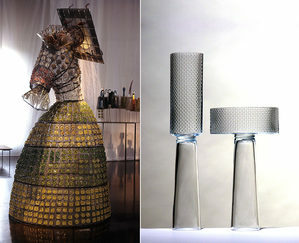 His designs can be found at Victoria and Albert Museum in London, National Museum in Stockholm, and in The Corning Museum of Glass in New York. 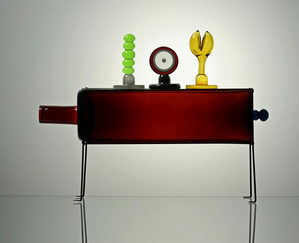 Salo has received Georg Jensen Prize, and Finnish State Prize for Applied Art, amongst other awards. 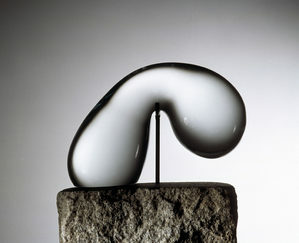 Markku Salo says:“Movement, experimentation, size, different materials – I am interested in finding new ways to express the artistic quality of glass as a material. But a technique is just a tool, it should never outrank the content.